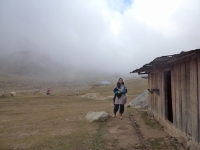 This trek was the hardest thing I've ever done in my life. And it was awesome. Seriously awesome. Everyone should go do it. You will feel amazing after and will definitely be the coolest one in your group of friends. Every single moment offers a spectacular view that you definitely don't have wherever you're from. 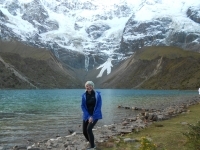 I had an amazing time on the Salkantay trek!! Two friends and I signed up not really knowing what to expect and we were blown away by the breathtaking scenery, knowledgeable and helpful guide, and excellent kitchen and transport staff. 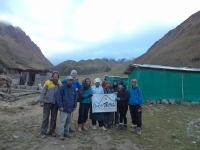 We did the four night Salkantay trek in June. Our guide was Romero. 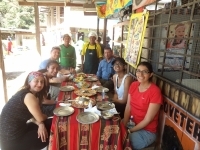 Throughout our trek, we were thoroughly impressed with the food prepared by Simón and Damián. 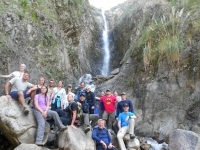 Romero was a very helpful, considerate and friendly guide that worked diligently to ensure we had a pleasant experience. 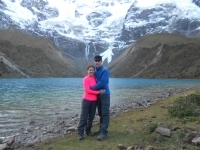 I walked the Salkantay and have to say that is a great trek with a lot of breathtaking sights (sometimes literally). Walking in so many places (mountains, forest, rivers, open fields, old paths...) just in so few days was wonderful and defiant. Some moments we can fell ourselves in other world, with different people from everywhere. 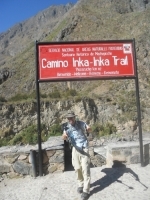 I had a wonderful time on the Inca Trail ! I saw many of the ruins and beautiful landscapes during my journey. It was amazing to see these buildings up close and personal! The guides were very helpful and informative! 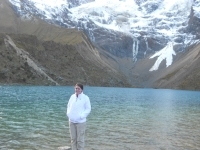 I learned of the many traditions and beliefs of the Incan culture. 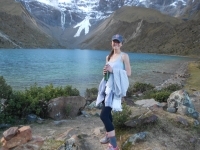 I started the 5 day 4 night Salkantay trek with no idea what to expect. Day one was an easier hike but a chilly night. Day 2 was an intense 9 hour day of hiking steep uphills and downhills. Days 3 and 4, the scenery changed and the uphills and downhills became easier. Ich bin überglücklich! 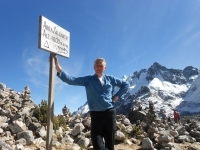 Die Salkantay tour war super! Wir haben in 5 Tagen einen - wie ich finde - super ersten Eindruck in die peruanische Kultur bekommen. Unser Guide Carlos hat uns perfekt durch alle Herausforderungen der tour geführt. Es war soooo coool! Overall this trek was quite the adventure. 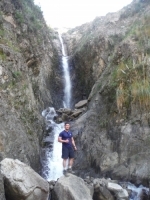 There was a lot of hiking involved, with some days more challenging than others. 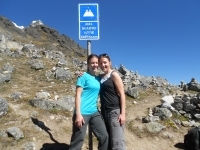 Particularly the second day -- hiking to the Pass -- was a difficult yet rewarding hike.